When the One Plus One was released, it created a huge impact in the smartphone arena which according to many was this year’s best smartphone carrying a price tag of only $299. If One Plus One was a beast, the all new LG G 3 should be termed as the Godzilla of smartphones. In an event held in London, LG has just dropped the bomb by delivering the promised smartphone that offers an amazing 5.5-inch QHD display with a 2560 x 1440 resolution. Since the start of the year, there has been a race to deliver QHD displays on devices and it seems, LG is ahead of it and grabbed the seat that Samsung was on. If there was anything that was amazing, it’s definitely the new display which is by far the only QHD display available till now. LG has managed to dispel the myth that the eyes could be able to see only upto 300ppi as they managed to to take the time to make people understand that human eye can infact see beyond 300 dpi. 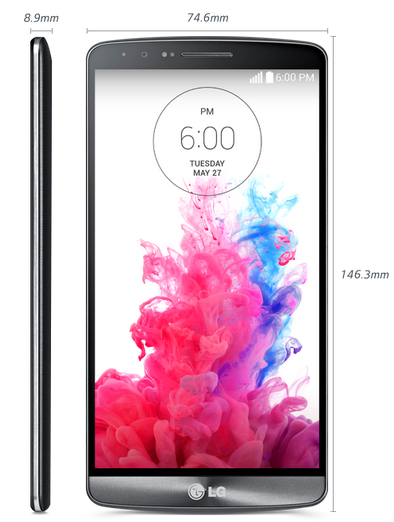 The new Lg G3 offers a 538ppi screen and delivers 11059200 sub-pixels which is 2.7 times more than a full HD AMOLED display and 1.8 times more than a Full HD IPS display. To power this marvellous display, LG had to also improve their power pack so that the outstanding screen on an aluminium body doesn’t drain the battery away in hours. LG has introduced a 3A Adaptive Optimization that would be able to optimize CPU Clocking, control frame rate and timing the battery life. All this work would be done with a 3000 mAH removable battery unit which makes things much better. Under the hood, the handset is armed with the latest Qualcomm Snapdragon 801 processor clocked at 25GHz and would either be available with 2GB or 3GB RAM. In the case of storage too, there are two version to choose from, 16GB and 32GB. 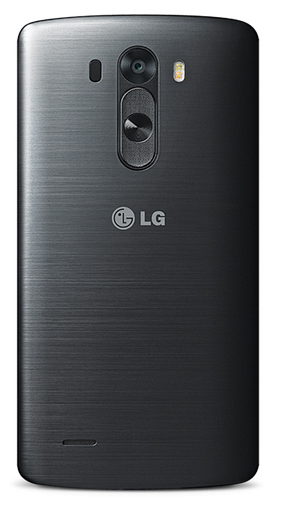 The LG G3 comes with a 13-Megapixel rear camera with optical image stabilization and laser autofocus and also features a 2.1 megapixel front facing one. If you’re wondering that’s all for the camera, you’re wrong. The camera is all new and has brilliant features that’s totally unique in the market right now. According to LG, they have termed it being the all new ‘breakthrough’ camera. Starting with the Laser Auto Focus which could take a photo in just .276 milliseconds which is faster than a blink of an eye. The OIS + Technology has also been improved as it’s 20 percent better at taking snapshots without blur or shake. Taking selfies is now a trend, look here and there, you will find people taking selfies more than just taking pictures with their rear camera. LG wants to deliver a camera for those who love to take selfies. For them, LG has engineered the Selfie Cam with a large image sensor that would ensure improved image quality. The selfie cam also does an interesting trick where if the hand is raised and a countdown is triggered from three to one. It’s mainly designed so that the users with friends and families can get the time to pose and have the ultimate selfies. LG has revamped their GUI with new simple flat graphics which is now becoming a trend and has abandoned the idea of embossing or 3D effect to provide a clean and minimalistic look. LG has also reinvneted their GUI color palette to reflect a more mature user interface with warm colors which was away from the brighter ones. If the phone get’s stolen or is lost, a kill switch is incorporated in the device which would make it possible for the user to remotely lock it down or simply disable the phone permanently. You really wouldnt want a stranger having all your files. With so much to offer, it seemed LG lacked one feature that can be found in both APple and samsung, the fingerprint scanner. However, it might have been a crucial move for LG as they rpobably might have observed the mess Samsung is now in after introducing usch feature. Even if there are a fingerprint scanner, it would stand out to be one reason for not buying the LG G3 due to privacy concerns. 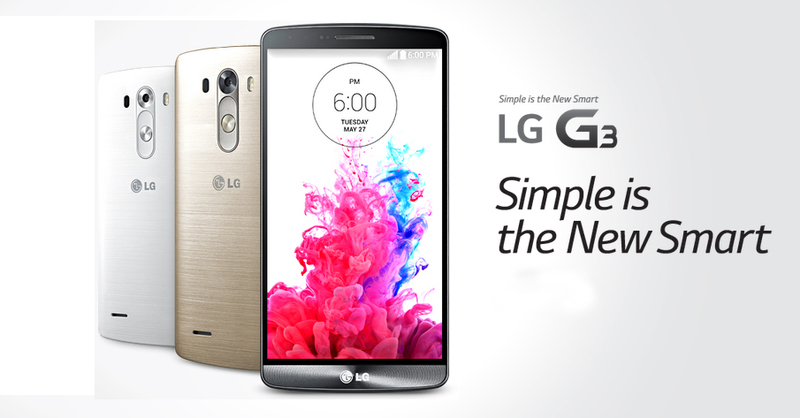 All in all, the LG G3 has just moved the Samsung Galaxy S5 away from the spotlight with its amazing and unique features. 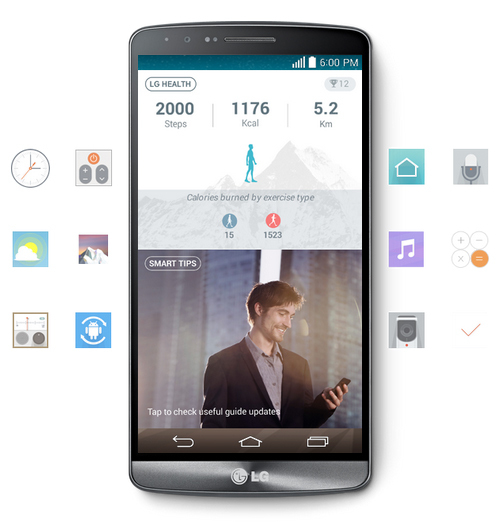 The LG G3 runs on the Android 4.4.2 Kitkat and would be sold by the major carriers in the US which might carry a price tag of $199 to $249 with contract. In Singapore, the 16GB version of the G3 will retail for S$868 which is around $690 while the 32GB, S$928 ($740).Once the LG G3 lands in Bangladesh, be sure to see the price rocket to over Tk, 50,000.